The Fourth Republican Constitution of Ghana (the 1992 Constitution), and the Parliament established under it, is about 25 years old. The Constitution has vested the legislative power of Ghana in Parliament. This means that, except otherwise provided by the Constitution, only Parliament has the legal authority to enact laws or it can delegate other persons (natural and unnatural) to do so on its behalf within the limits of the Constitution. Although Parliament has immensely contributed to the growth and development of democracy and good governance in Ghana since 1993 when the Constitution came into effect, it continues to demonstrate a lacklustre commitment towards the passage of the Right to Information Bill (RTI) Bill. The RTI Bill has been lying in the womb of the House for about 19 years. 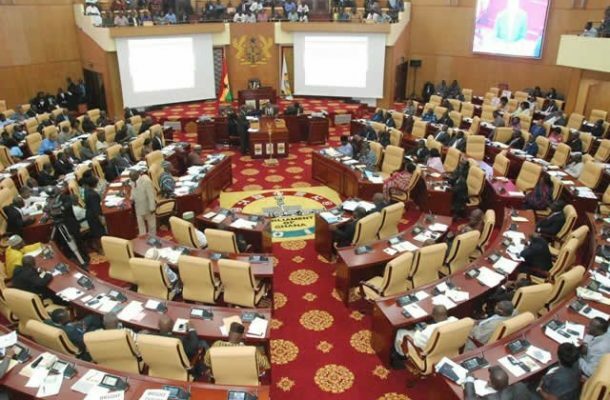 Does the Ghanaian Parliament need a Caesarean Section to pass the bill? Article 21(1) (f) of the 1992 Constitution guarantees the right of all persons to information, subject to such qualifications and laws as are necessary in a democratic society. The RTI Bill mainly seeks to give flesh to the foregoing article by providing for access to official information held by public institutions, subject to public interests and freedom of others. Right to information is central to the active participation by all in the governance of Ghana. This is because it only takes well-informed people, who have access to relevant data or information, to contribute meaningfully to the good governance of their country. Access to requisite data and information will, among others, reduce corruption and ensure truthfulness and transparency in governance. It has been observed that the various bodies in Ghana’s criminal justice system have not shown enough commitment to prosecute corrupt public officials, because the structure lacks transparency to fight corruption. Despite the foregoing benefits that Ghana stands to get from the passage of the RTI Bill, it has taken its Parliament more than 19 years to pass the Bill into law. Parliament’s cold feet towards the passage of the bill raises several legitimate questions about its focus and interests. Is it the case that Ghanaian political leaders are dreading the kind of public scrutiny that they might be subjected to when the Bill is passed into law? Please, what else should Ghanaians expect if Parliament still appears to be playing rhetoric with a bill that was drafted in 1999? Is pressure not necessary whenever persuasion fails? I believe the growing mounting pressure on Parliament is a good Caesarean Section required to do the needful. It is necessary to stress that Parliament needs to place national interests above personal or political interests in its dealings with Ghanaians in relation to the passage of the RTI Bill into law. Ghanaians have since 1992 chosen to be ruled by law, not by political interests. Right to information is not a mere political promise nor a populist political propaganda; it is a constitutionally guaranteed right. There is everything wrong with the motives of any pregnant woman who refuses to give birth when her time is due. Even more so, when she is resisting a Caesarean section. — The writer is a certified life and leadership coach, a legal academic, and an author of seven books and more than 200 articles.